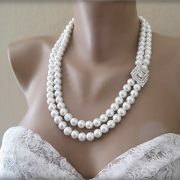 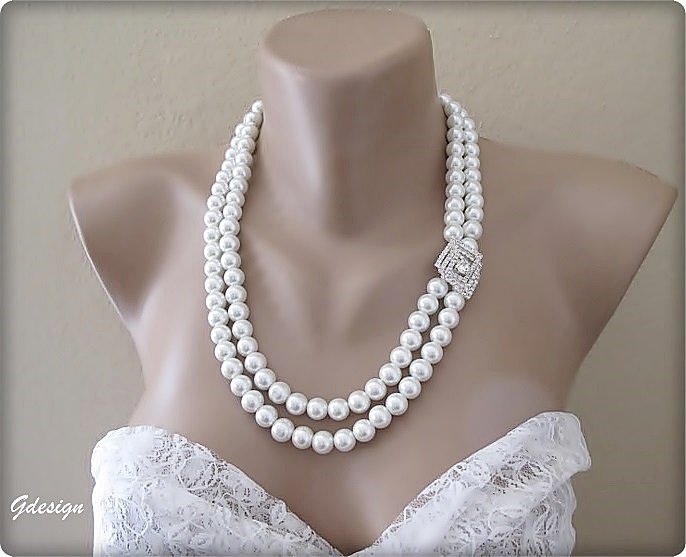 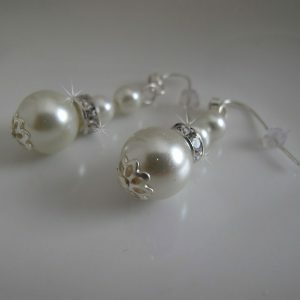 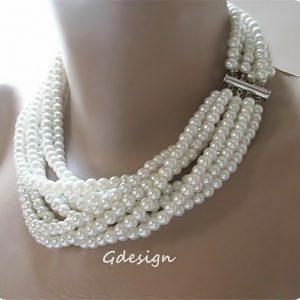 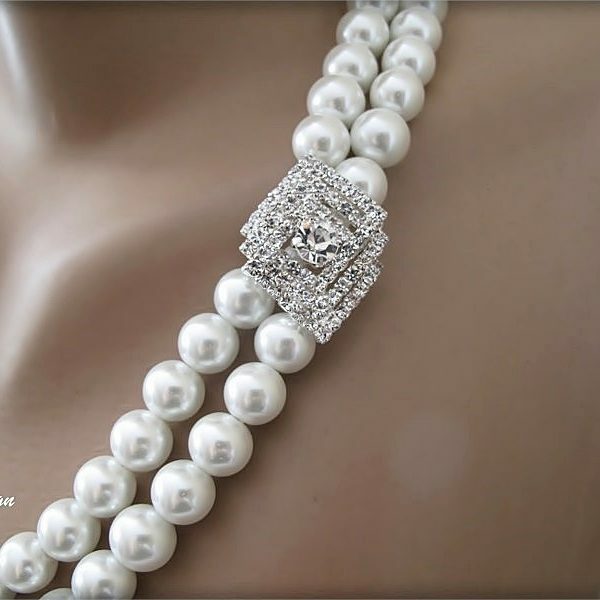 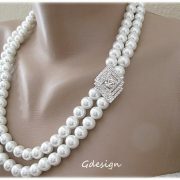 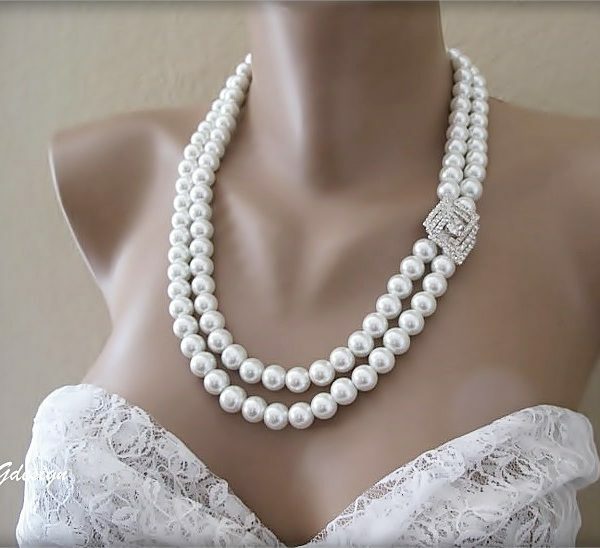 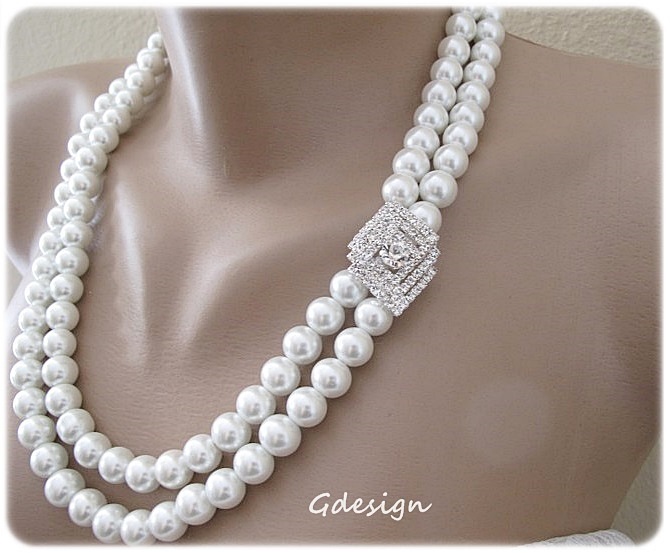 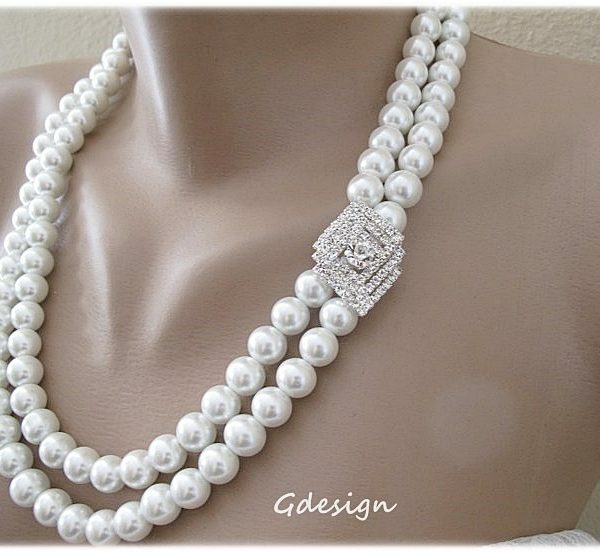 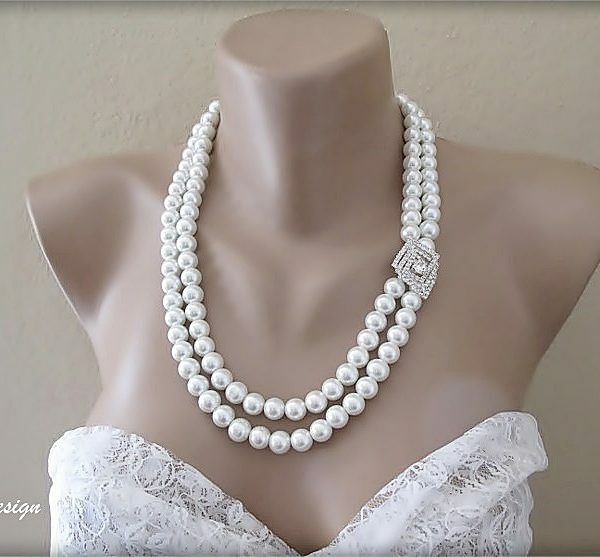 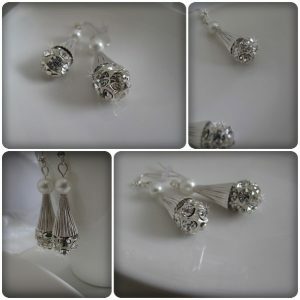 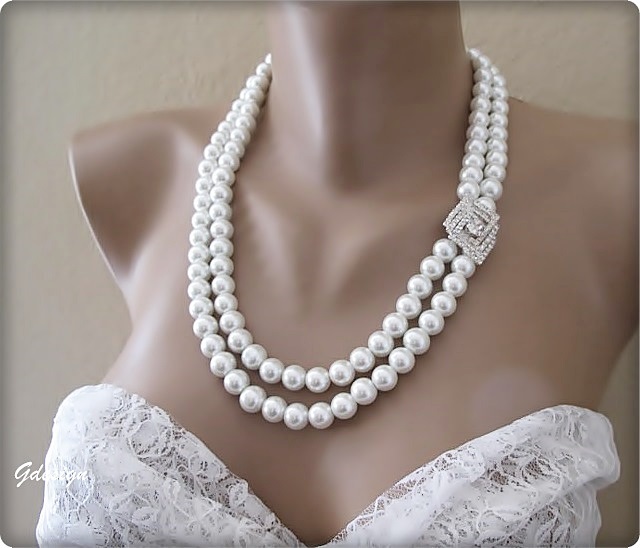 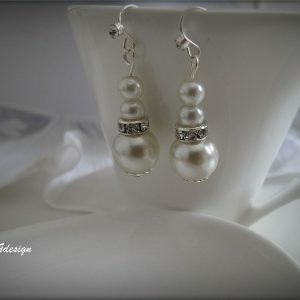 Wedding pearl necklace . 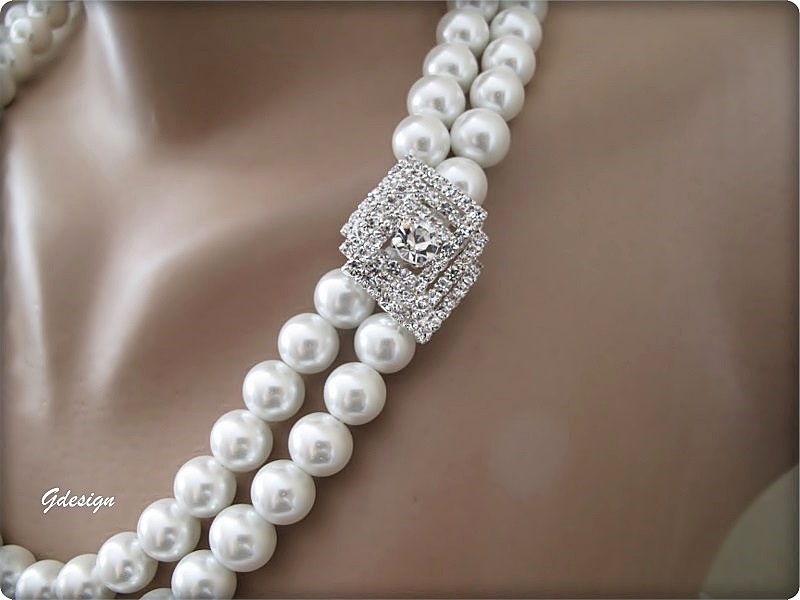 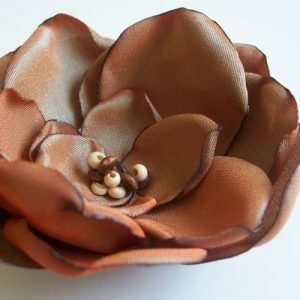 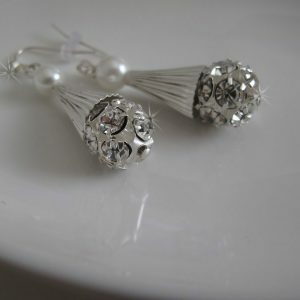 Handdesigned with Ivory Glass Pearl, rhinestone little brooche . 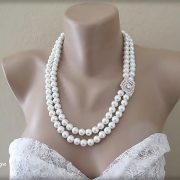 Choose your color , ivory or white. 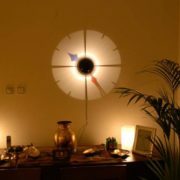 The lenght is approximately 48 cm -18.8 inc .